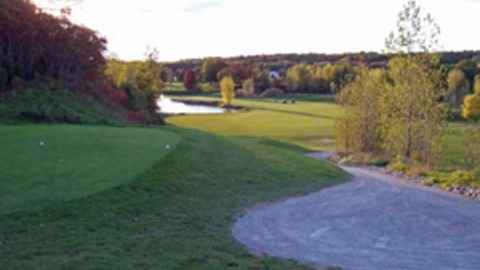 Shamrock Heights Golf Course in New London will host the 2013 Timber Rattlers Golf Outing for The Miracle League of the Fox Valley. GRAND CHUTE, WI - Hit the links with the Wisconsin Timber Rattlers to benefit The Miracle League of the Fox Valley. The Midwest League affiliate of the Milwaukee Brewers will hold their annual golf outing on Monday, June 24 at Shamrock Heights Golf Course in New London. If you wish to participate in the 2013 Wisconsin Timber Rattlers Golf Outing, please contact Hilary Bauer at (920) 733-4152 or hbauer@timberrattlers.com by June 14. Registration forms are also available at Time Warner Cable Field at Fox Cities Stadium and online at timberrattlers.com. The Miracle League of the Fox Valley, an organized baseball league for children aged 4-19 with physical and/or mental disabilities, was formed in 2008 by Fox Valley parents Lisa and Mark Robbins. The league has an Opening Day Celebration set for Saturday, June 8 from 10am to noon at the John Wollner Fox Cities Miracle Field in Appleton's Memorial Park. The Miracle League of the Fox Valley starts its fourth season of play on Monday, June 10 at Miracle Field.